Reliable copy and print functions, including Sharp Printer Language with Compression, make the AR-M256 fully equipped to meet everyday document needs with workflow-enhancing speed, but that's just the beginning. Powerful expansion options deliver truly outstanding performance to the widest range of businesses. Upgradeable to network printing, the AR-M256 can also support PCL6 and PostScript 3 emulation through optional printer expansion kits. 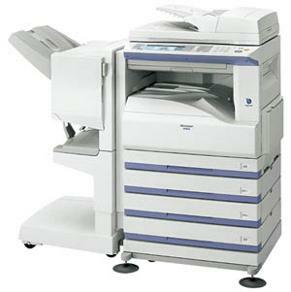 Other add-ons, such as network scanning and faxing, offer multifunctional flexibility. Layers of industry-leading security features safeguard the AR-M256, and an 8.1-inch touch-screen LCD control panel makes it as easy to operate as it is secure.